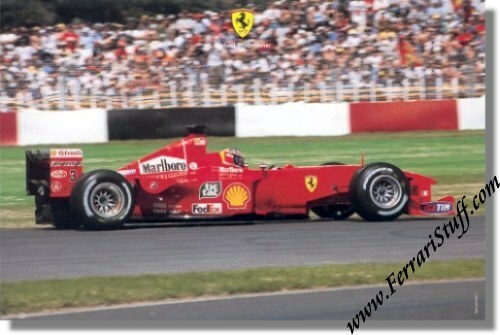 Ferrari factory original Postcard of Michael Schumacher. 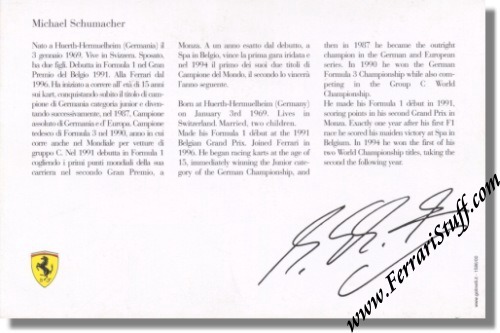 The card shows Michael in his 2000 championship winning Ferrari F1-2000. Backside lists Biography + printed signature. Approximately 6 x 4 inches or 15 x 10 cm. Ferrari Print Number 1586/00, issued in 2000, printed by Golinelli in Italy.